Plant packaging: MSB now in Ulsoor. My Sunny Balcony has all types of garden do-dahs. 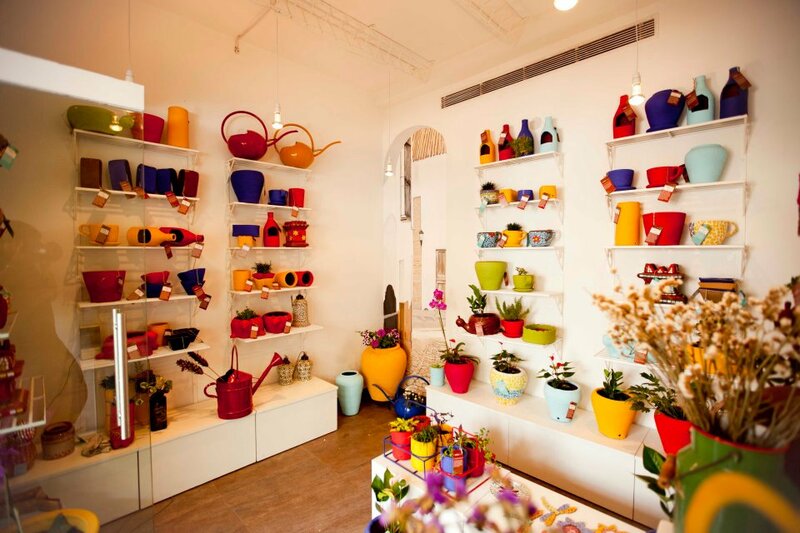 Vibrant big pots, quirky tiny ones, they even do garden-makeovers and transform sordid little balconies to zen oases. Click here to meet them online or drop by at 12, Aga Abbas Ali Road (Ulsoor, Bangalore: Next to Peaches salon) to meet them offline. Picture: MSB on FB. Right here. Nature Forever makes these lovely nest boxes for different types of birds, especially the fast-disappearing sparrow. Join the ‘Save the Indian Sparrow’ FB page here. Don’t forget to tweet this post. 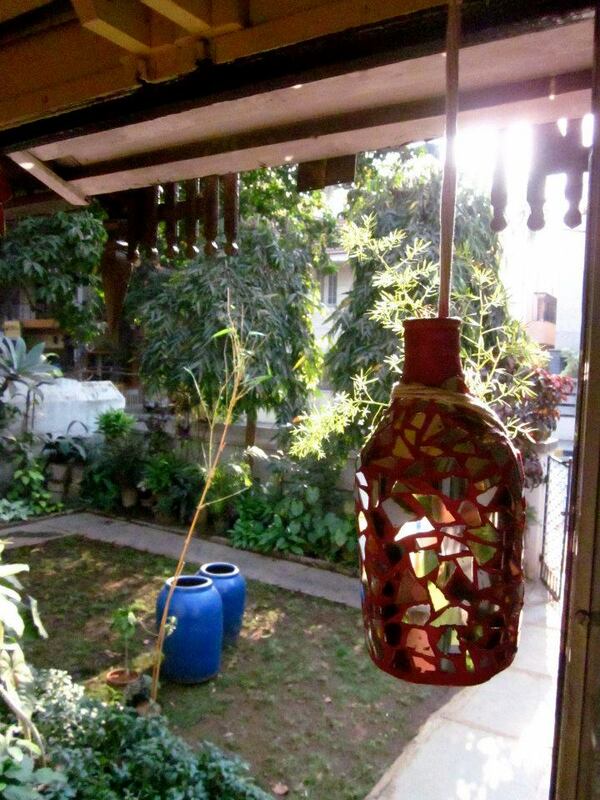 MSB (My Sunny Balcony) has just come out with these wunnerful mosaic hanging pots that go perfectly well with any home. The mirror bits promise to give your garden a dozen suns.